As every good Jewish mother (or for that matter, a Sindhi one) will tell you, some proverbs are more than mere words of wisdom. If they have survived eras and centuries, there must be a good reason for them. So, for 10 days on my first ever trip to Israel, I ate and drank like there was no tomorrow. With four kilos piled on to my usually lean frame, I finally got a beaming approval from my giddy aunt who, upon my return, exclaimed, “You look fresh!” (sic). Fresh dairy products wink, beam, smile at you from every breakfast table. At Haifa’s lovely seaside Leonardo Hotel, in Jerusalem’s huge Leonardo Plaza Hotel overlooking this historical city’s original settlement, in Tel Aviv’s imposing Crowne Plaza City Centre Hotel, breakfast buffet tables groan with at least five different kinds of yoghurt, six varieties of cheese, seven types of fruits. Not to forget fresh fish, juices, eggs, breads. When in doubt, don’t choose. So my motley group of friends would join me in piling up plates at breakfast with all kinds of everything. In the name of discovery and cuisine exploration, I found myself so satiated that by 9.30 a.m. every morning, it was an effort to get up and commence the day’s itinerary. Our irrepressible septuagenarian guide, an ex-commando, with an impressive armory of tales of valour of various Israeli wars, found himself perhaps defeated for the first time ever, faced with a bunch of immovable, fattened objects of both sexes, from India. In the Bible, Israel is eulogised as the ‘land of milk and honey’. But food writers and researchers will quickly point out that for a long time, the country did not have a recognised culinary heritage. Today is a completely different story, as our visit amply demonstrated. Israeli cuisine reflects the diversity of Israeli society, but with roots deeply planted in Jewish and regional customs. 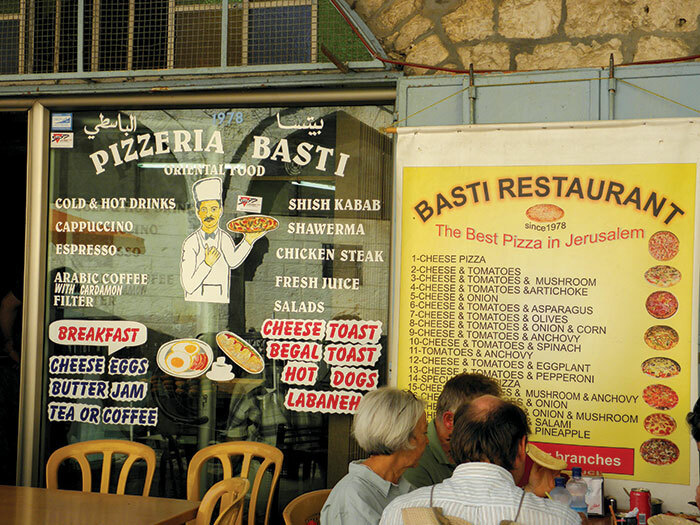 The diversity of its inhabitants has imbued Israel’s food culture with an astonishing variety. Call it a melting pot country and no one would argue with you. Not its political pundits, not its cultural commentators and certainly not food fanatics. All the different immigrants to Israel in the past 60 years have willingly thrown into the pot everything from Eastern European to North African traditional Jewish cooking. 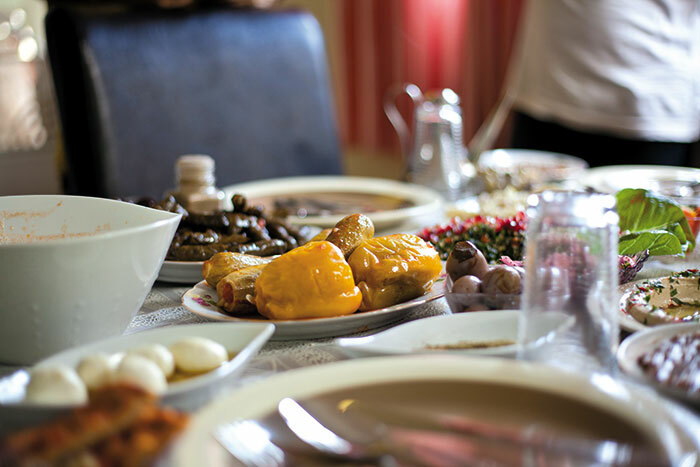 Mixed with the Arab kitchen of the region as well as Mediterranean influences and other global trends, Israel’s food is a fusion of East and West, speaking all languages and catering to every taste. 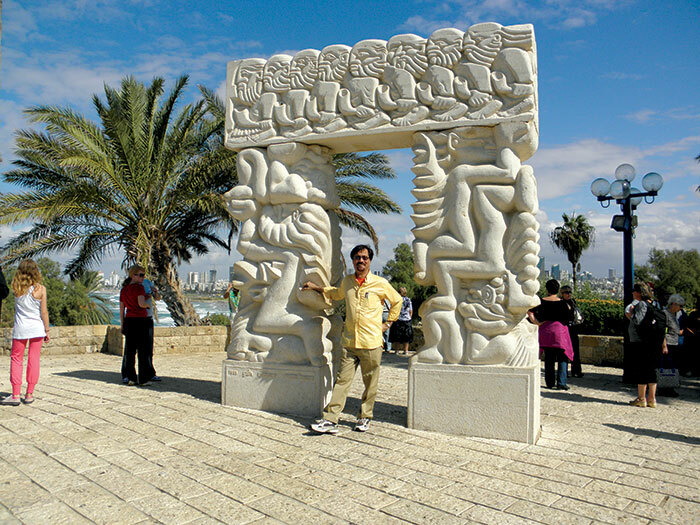 Our very first day in Israel. We have arrived at 3.15 a.m. in Tel Aviv after an eight-hour flight from Mumbai. Forty winks on a welcome bed and a copious breakfast later, we are in a Druze village on Mount Carmel, about a 90 minute drive from Tel Aviv. With the sun directly above our heads, we enter a Druze family’s home for lunch. The Druze religion is a combination of tenets of Judaism, Christianity and Islam. So, Moses, Jesus and Mohammad are all regarded as prophets. This places them in a rather unique position. Allowing them to pretty much do whatever they want to without any external interference. Even their holy books are accessible to a chosen few called the Uqqal. The Druze accept no converts. In all wars they have fought for Israel. The bond between Jewish and Druze soldiers in the Israeli army is commonly referred to as Brit Damim – ‘Covenant of Blood’. Like Hindus, they believe in reincarnation. And when it comes to food, eating pork and drinking alcohol are forbidden. Welcoming us is the Hamid family who allow their home to be contracted by the Israeli Tourism Bureau as a dining room for honoured tourists. What a treat! We sit in their living room, curiously eyeing the carpets, rugs and photographs hanging from the walls. The men join us, Hamid the father and his three muscular sons, Eyal, Mazyad and Saied act as interpreters. Within half an hour the women have covered the dining table with an amazing variety of food. 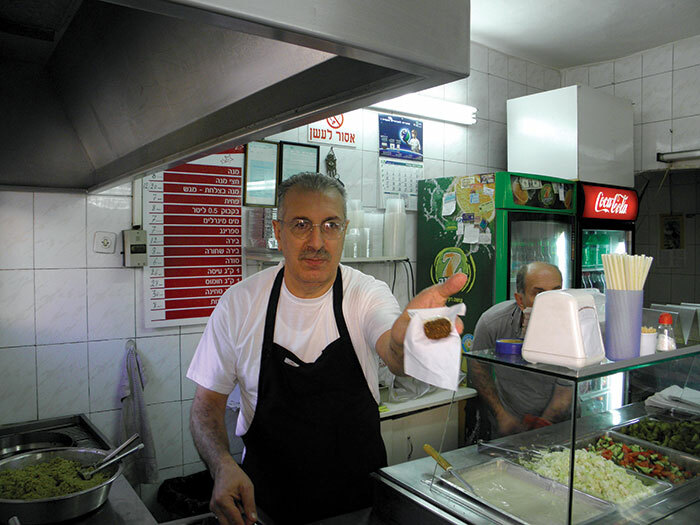 In Israel lunch is the main meal of the day. But the amount of food on this table overwhelms that verity. It looks as if we will be consuming breakfast, lunch and dinner all at the same time. 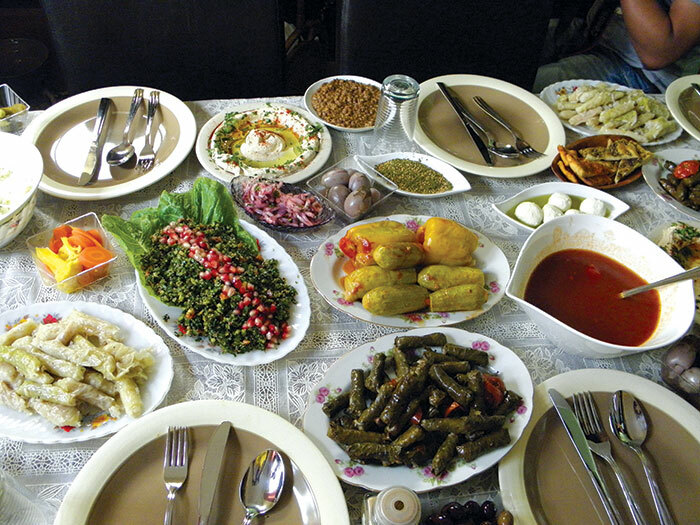 The familiar dishes are all there, all called salads: hummus, labane (a cold, sour tasting cheese), tahina (sesame seed dip), stuffed cabbage leaves, falafel balls. Pomegranate seeds are often served with salads and the Druze use the juice of the pomegranate to prepare many sauces. In addition there is skewered meat, pita bread, finely cut vegetables, rice topped with nuts and dried fruits. What makes all this food taste so different is the fact that the herbs used in cooking have been gathered from the hills surrounding this village. It’s this freshness that adds the yumm to the variety. After we have stuffed our faces (none of the women join in the meal), we are led outside to the charming small courtyard where under a tree we are served black Arabic coffee and very sweet baklava. 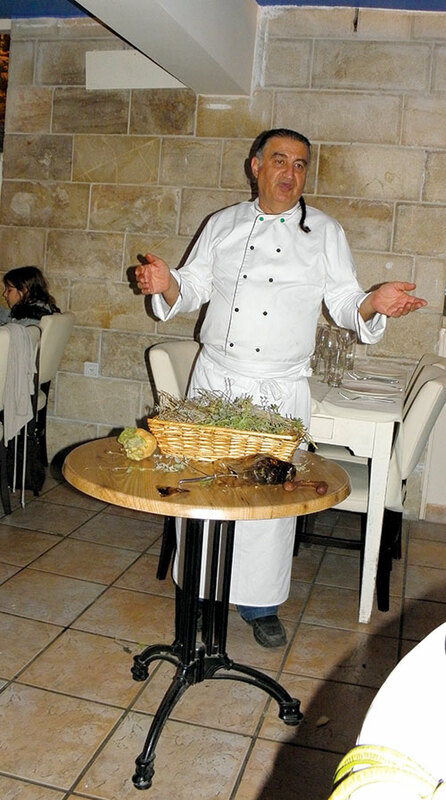 The Eucalyptus restaurant in Jerusalem comes highly recommended. Naturally, because of the food. But it’s not just delicious food; it is food served according to recipes from Biblical times. The icing on the cake is the dramatic and flamboyant owner – Chef Moshe Basson who every night chooses an unsuspecting diner to help him add the finishing touches to any of his signature dishes right in the middle of the restaurant. As is to be expected, since we are media, one of our happily participatory journalists gets to do the needful, getting a kiss on the cheek as a reward from the chef. 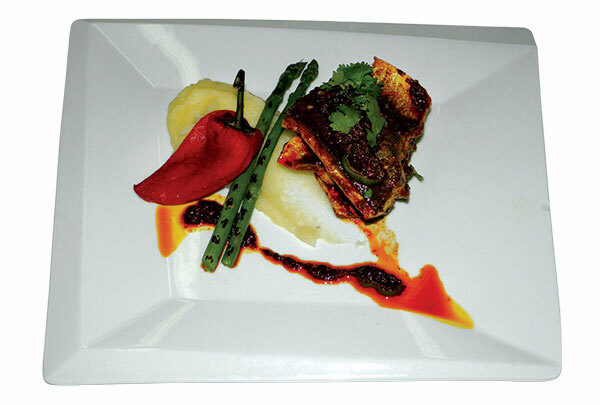 The Eucalyptus offers three different tasting menus. The King David Feast (seven courses) Kings and Prophets Feast (11 courses), Shir Ha’Shirim Feast (15 courses). We started with a trio of soups (lentil, artichoke, pumpkin) served in espresso cups followed by hyssop leaves stuffed with spring onions. I was intrigued by the Jacob and Esau’s biblical red lentil stew, delighted with the Moriah Jerusalem sage and cabbage stuffed wine leaves, amazed by the large figs stuffed with chicken in tamarind sauce (won my vote for dish of the trip). Then came the main courses of maglubeh (special casserole dish of chicken, rice and vegetables), veal kofta with okra and tomato sauce (which I tried to replicate without success back in Mumbai) and the seven-herbed potato salad. Accompanying the meal was copious quantities of Terra 2007 Cabernet Sauvignon red wine from the Ella valley. It was a burpy bunch that made its way back to the Leornardo Plaza Hotel that night. From my balcony on the top floor I drank in the spectacle of the lit up Western Wall of the Old City at midnight before turning in and dreaming of more such banquets. Chef Nir Zuk is a rock star. 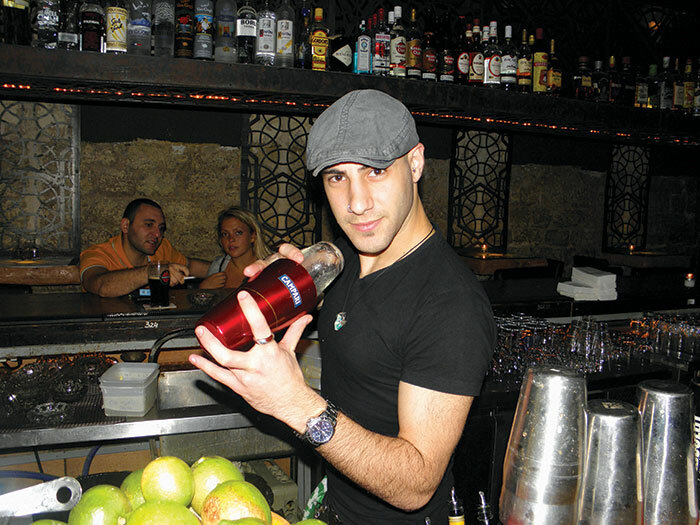 In Tel Aviv, he is a huge gay icon because of his accomplishments and his activism for gay causes. Discerning diners brimming with bonhomie and gourmet desires throng nightly to Cordelia, run by Nir and his partner Eli. 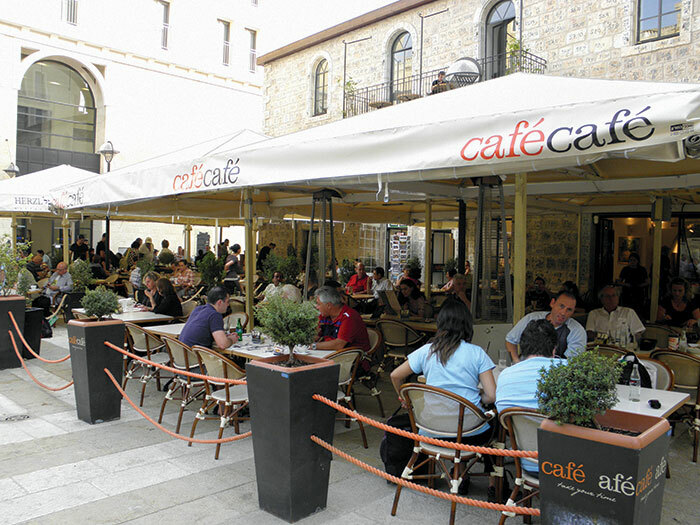 Together the two run a trio of outlets – the fine dining Cordelia, a hyper-bar called Jaffa and a casual bistro called Noea – all in a secluded alley of the old port of Jaffa, now a throbbing, buzzing suburb of the ever expanding Tel Aviv city. Cordelia lives up to its hype of being Tel Aviv’s trendiest restaurant serving nouvelle Israeli cuisine. In an arty ambience of darkly lit chandeliers, candles and paintings, we dined on some lip smacking stuff. Beetroot dough ravioli stuffed with porcini and champignons! Truffles tortellini in yolk dough! Black sesame marbled liver pate and salmon steak in a thousand spices. Even as I write this, I can taste the scrumptious flavours. As early as 5000 years ago, people in this region cultivated grapes, made, stored and shipped wines! The first mention of wine in the Bible is in a reference to Noah, who is said to have planted the first vineyard and to have become intoxicated when he drank the wine (Genesis 9:20-21). Remains of ancient wine presses are to be found today in many parts of Israel – Galilee, Jerusalem, Niger Desert et al. 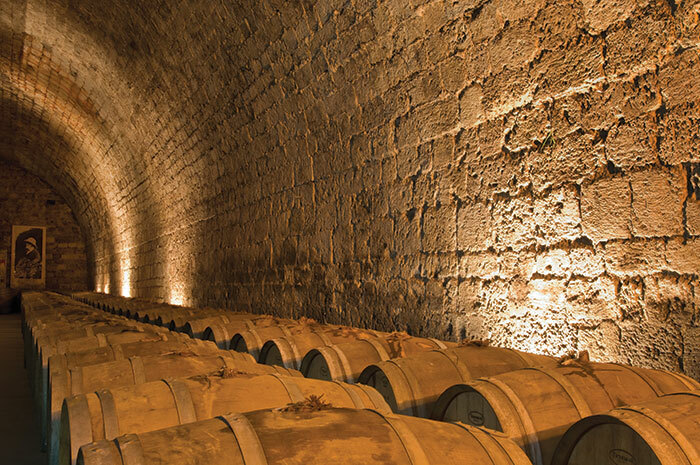 Excavations have led to discoveries of hundreds of jars that stored wines. Inscriptions on these amphorae list names of wine producers and even years of vintage. It is clear that even in ancient times, the sources of grapes and quality of the harvest were considered important. In the time of the First and Second Temples, wine was widely consumed by the local populace, but the very best wines were set aside for libations in the Temple (Sounds familiar?). 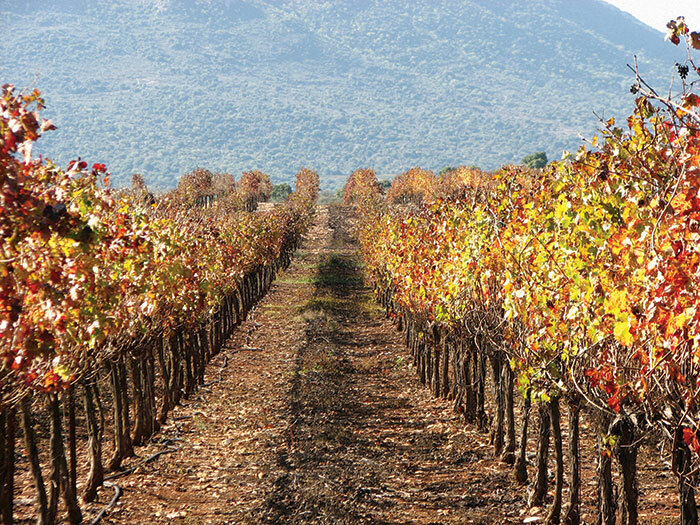 Wines were so intrinsic to Israeli culture that those who planted vineyards were exempt from military service. But today’s wine enthusiast will not appreciate the way wine tasted back then. Intense and coarse, the wines had to be tweaked before they became drinkable. The Romans added spices and scents to their wines to improve the bouquet. As for the taste they added honey, pepper, lime and even sea water. Who cares as long as it got them high, right? Getting high was a strict taboo once the Moslems invaded. So for nearly 1300 years, no wine was produced. 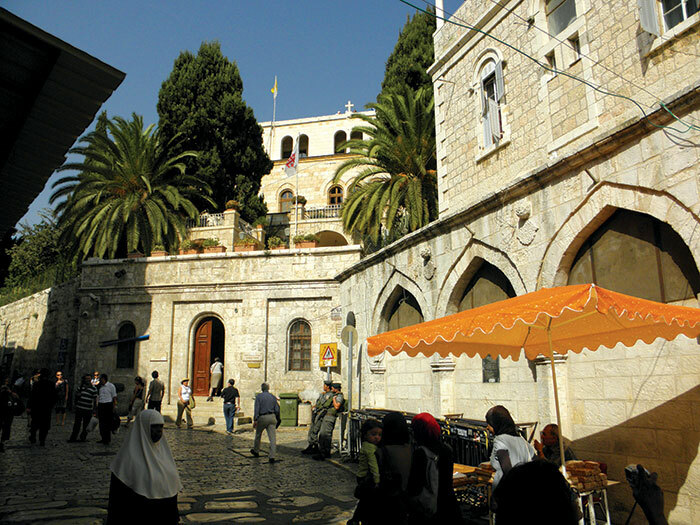 Till 1848 in Jerusalem. The big boost came in the guise of Baron Edomon de Rothschild (owner of the famous Chateau Laffite in Bordeaux) who financed plantations and brought in European sinologists to help produce kosher wines. One hundred and ten years later, this is the winery we visit. 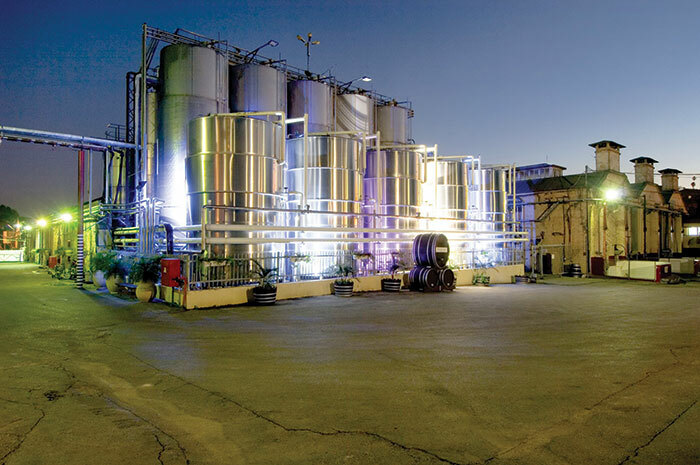 Carmel Winery is the country’s largest wine producer with an annual output of over 15 million bottles. Carmel produces the top-of-the-line single varietal Limited Edition which is winning awards globally as well as the Single Vineyard series and the Appellation series. We tasted the Gewürztraminer, Viognier and the Shiraz. It was amply clear that outstanding talents are responsible for these wines.